Update on my Blade Inductrix FPV BNF – its flight times are much reduced now. A minute or so. And sometimes nothing, as sometimes the LVC kicks in on freshly charged batteries. I’ve read on the net that this is not in infrequent occurance in the product. 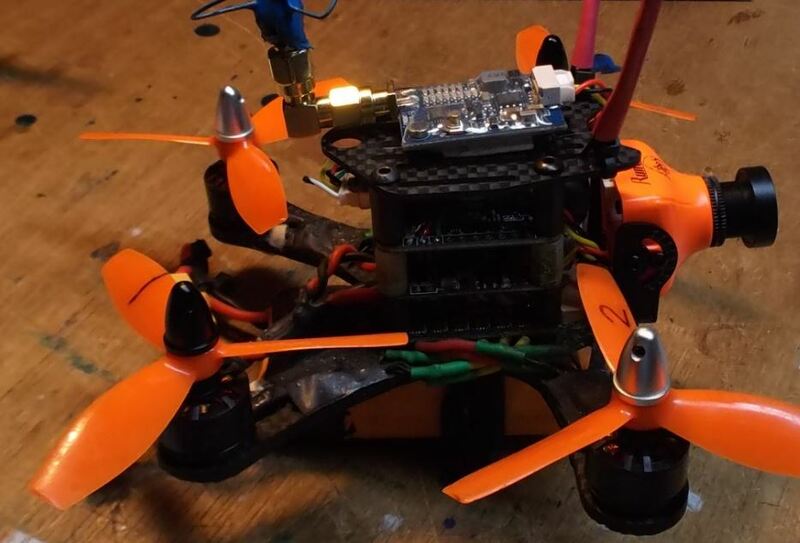 So – since I like the form factor – it bounces off walls because of those rings round the motors – and the antennae doesn’t snag on anything either – I will build a TinyWhoop version of this – with no Blade parts in it. TinyWhoop.com is the place to start. And also newbeedrone.com or furiousfpv.com, and others. Got this 24g FPV drone yesterday. And – it is indeed … a Hoot! Got it for indoor FPV flight during the upcoming cold and dark … the winter season. It’s just a honey to fly indoors. A very smooth flier, it hovers well – and it’s quiet. Plus – you can bump the floor, ceiling or walls, and keep on going. FPV’d up the basement stairs, turning around by the side door, before scooting back down the stairs. Been using a display mounted on my transmitter for the FPV so far. Once I master that nicely, I’ll switch to the goggles. The picture’s pretty darn good too. It’s BNF, cuz I already have a controller … a taranis with an OrangeX DSMX module. 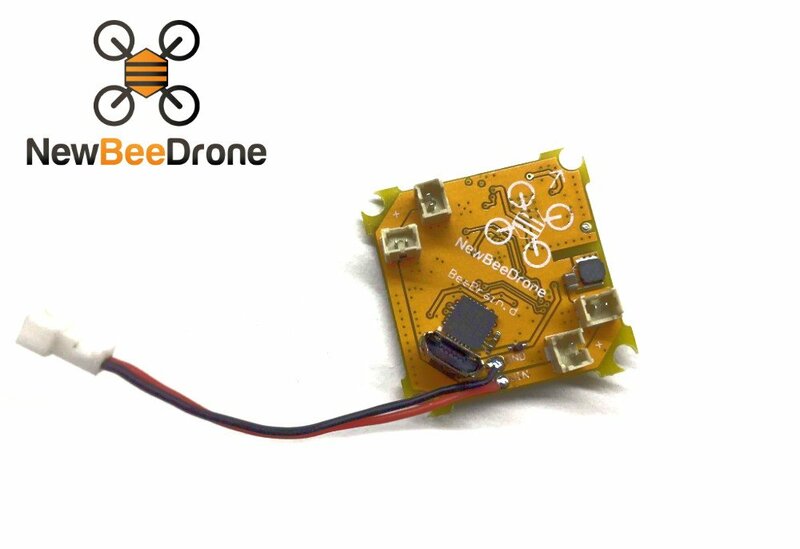 Someday, I might upgrade it with this BeeBrain FC (supports both Cleanflight and Betaflight firmware). Wonder if the “Insane” motors are faster than stock? 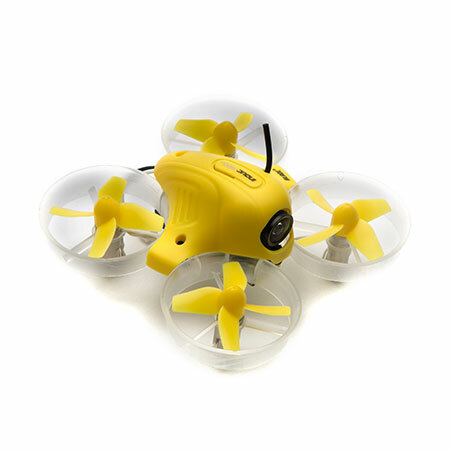 Would turn it into a TinyWhoop type drone with a customizable FC, rather than proprietary. FCC call sign – just got my brand spanking new FCC call sign, for a technician class amateur radio license – as of Sep 22, 2016. Now I can broadcast FPV video in 1.3ghz or 5.8ghz, from my drones to myself – or at least to my gear I’m using to see what the drone is seeing – get better camera shots that way. 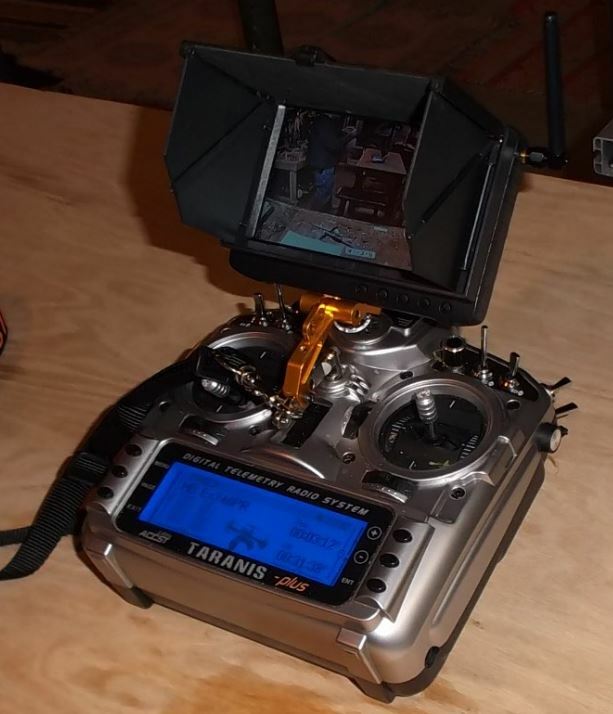 To that end, I have a 7″ LCD display mounted on my Taranis RC controller (my Tx). With a collapsible sun shade. It also has an embedded 5.8ghz vRx, with a simple dipole antenna. Thus the 25mw to 200mw vTx mounted on the aircraft, transmits what the camera sees, directly back to my display, with about a 100ms lag. The std def vid quality is poor. But at least shows the camera shot … should I want to record in HD. That HD is saved locally on the drone. Not enough bandwidth in the std def video signal I use, to transmit HD back to me. Thus, if I lose the drone, I lose the HD. Hasn’t happened yet. I fly very conservatively. Back on topic … Yippee – didn’t think I could still do tests, at my advancing age. But it only required that I study longer than I use to have to do, in order to get the same sterling test results I’ve been use to my whole life. A whole lot longer, BTW. Used hamtestonline.com to study. Was so afraid – but I got everything right on the exam – what a good boy (old man) I think I am. But, much of it was stuff I already knew. Anyway, now I know what QRM means. And QRZ … or was that QRY? The tests were administered by HAMs. They are good people.